Well hello there. It’s been almost seven months, hasn’t it? Turns out two kids are more time consuming than one. Surprise surprise. Rowan is a lovely little person who is now sitting up, eating some foods and figuring out just how much noise he can make with his voice and his hands. He is not nearly so content as Iris was as a baby. Back then I sort of hoped that any future babies would be more cuddly and attached to me. I got my wish, and then some. No complaints – it’s just more challenging when it’s 24/7. The first few months of Rowan’s life had some difficult patches. By his two-month well-baby appointment, he’d stopped gaining weight, required an ultrasound on his spine and had a mysterious red spot on his bottom lip. 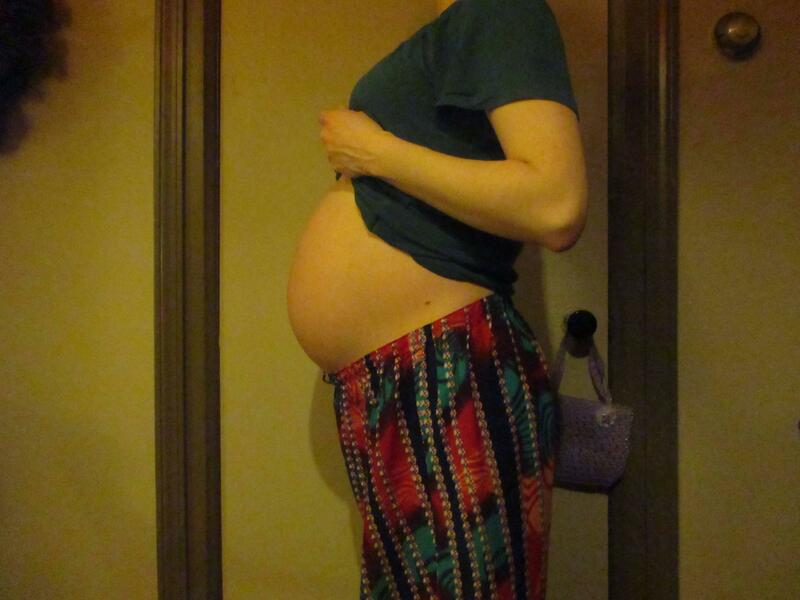 While all tests and efforts resulted in our now very healthy baby, I had my share of freak-out moments this spring. But, all’s well. And the cute little strawberry on his lip (properly known as a hemangioma) should fade with time. As a side note, we had no idea that his pre-birth nickname of Baby Vamp would be so apt. The kid literally always has blood on his lips. Goes well with the pale skin and widow’s peak. As for me, I find a second baby to come with far less culture shock than a first. With Iris, I had to adjust after a decade of what was a mostly free-spirited adulthood. With Rowan, I was used to a more structured existence. However, by the time Iris was this age I was back to exercising regularly and more frequently taking a night off, when I could wear normal clothes that didn’t center around easy access to my chest. I’m really beginning to miss yoga, and wish I could wear some of the t-shirts in my closet. Then I remind myself that the Squishy will never be this squishy again, and decide to enjoy the time I spend laying with him on the couch and feeding his fabulous little face. I’m going to try to do this again before another seven months pass. Rowan Reilly Mitchell was born on February 2, 2016 at 12:23 pm. Like the day of his sister’s birth, this Tuesday was a minor “holiday”, unseasonably warm and a day before the due date. 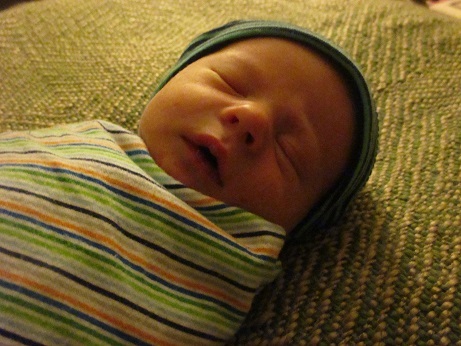 Unlike that experience, this one was relatively calm and quick, with labor only lasting about 15 hours altogether. According to legend, the Celts organized their year according to trees. The period of late January to mid-February centers on the Rowan tree, and the strong wood and red berries figure into several other ancient mythologies. Just as does the name Iris (which has meanings within botany, Greek mythology and explanations of human evolution), Rowan comes with a colorful richness of which we didn’t even know when we simply liked the sound of the name. Our new wee one carries it well, especially as his ruddy complexion heightens during his little fits of rage (having one’s diaper changed is apparently a maddening experience). So, once again, I go on official hiatus. Enjoy the rest of your winter, and sail easily into Spring! When we talk about good health, we talk a lot about food, physical activity and sometimes even sleep habits. We might toss around ideas about stress reduction and exercising our brains to maintain faculties and ward off diseases like dementia and Alzheimer’s. Perhaps you’ve also heard the current conversations on the downside of chaotic lifestyles that keep us constantly on the go. For many of us, daily life is busy – too busy. And this can contribute to poor habits around diet, exercise, sleep, stress and brain health. Worse, because a lot of us relax by flipping on a screen, we’re further contributing to some of the trouble around sleep and stress. What to do? My guess is you’ve caught wind of the coloring book trend for adults… if not, just know that over the past year, stores have increasingly carried coloring books full of intricate designs, and grown ups are raving about the loveliness of losing themselves in the hobby. For a few months now, I’ve had “color” on my to-do list (ridiculous evidence of my own busyness). This past weekend, I finally crossed it off the list, but I plan to put it right back on there. It was incredibly relaxing and mood enhancing to complete the page pictured above, which is from a book I’ve had for years and barely touched. 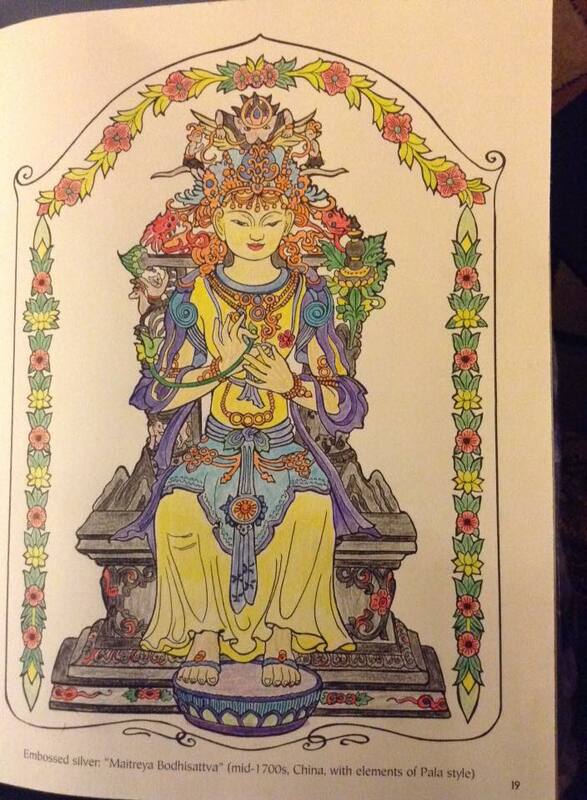 I received a book of mehndi designs for Christmas, and I plan to try a page from it next. Takes us out of ourselves, becoming like a meditative practice. Relaxes the brain and distracts from life’s difficulties because of its simplicity. Is without consequences if we don’t do it perfectly, so is fun and not stressful. My colorful friend up there isn’t exactly an amazing work of art, especially as I only used about eight colors and did minimal mixing and shading with them. It’s not about making something that looks incredible. What it is about is slowing your brain, using your hands and not relying on a screen to distract you from real life. Blue and green are next to each other on the color wheel, but around this time of year, they couldn’t seem more opposite to me. When I look outside right now, I see white, gray and, if I’m lucky, a blue sky (and sunny sparkles). Still, even when the sky is also gray and white (as it usually is… this is Michigan), the world has a bluish cast to it. Even the cat is feeling the lack of outdoor green. It’s been an ongoing battle to keep him from eating my houseplants. Fortunately, I like blue. While its paler incarnations invoke icy landscapes and wintry skies, the deeper, brighter blues put me in mind of exotic climates and sensual fabrics. Still, without any green (or red), blue is just kind of cold, and I’m already dreaming of March with its glimpses of Spring and St. Patrick’s Day decor. I did! Me and 19,999 other concert goers. This was a huge thing to cross off my bucket list. I’ve been a fan for decades, and credit much of my life’s soundtrack to the Beatles and their various offshoots. For years, I’ve been bound and determined to see at least one former Beatle while he or he is still making appearances. Several weeks and a chunk of cash after I heard Paul McCartney was going to be in Detroit, the husband and I sat in our side view seats, sharing pizza and waiting for the show to begin. We weren’t sure what to expect from the 73 year old musician, and I’m happy to say we were delighted. 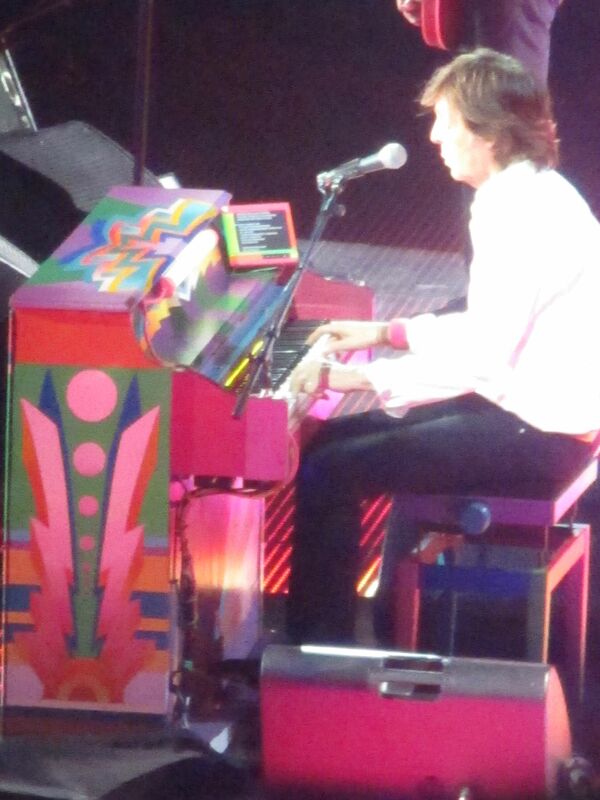 For three hours straight, Paul played and sang and moved non-stop. Then he did two encores. He gave the crowd what they wanted, talked about his new wife and creative endeavors, and owned his success. Perfection. It’s like he’s been doing this for a few years or something… And I’m not the only one who was impressed. Sometimes, it’s worth it to spend a little more than you should, and do something that would make your younger self ecstatic and proud. You’ll never regret it. 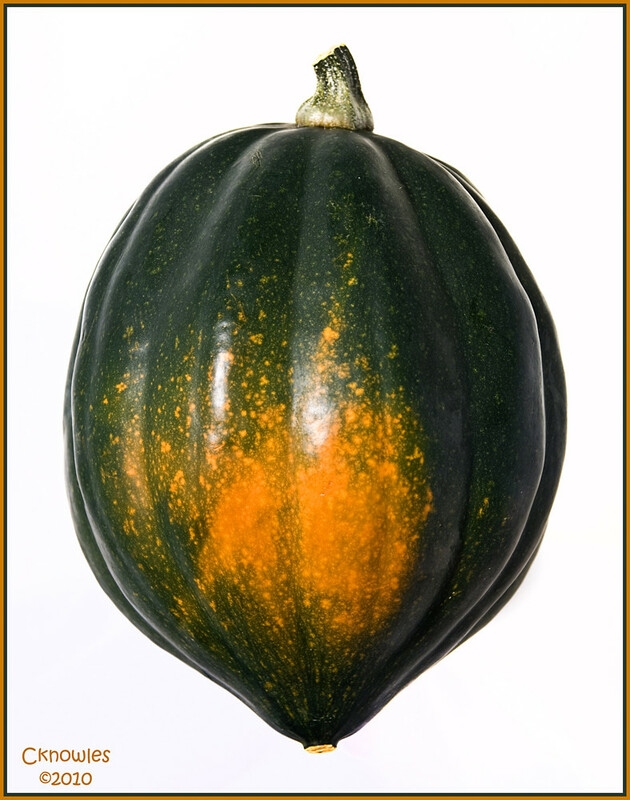 In recent years, I’ve tried to eat more squash in the autumn. It’s cheap and delicious, and looks good sitting around the counter this time of year. Last week, as part of my effort to combat the pregnancy sweet tooth and eat vegetables with my three year-old, I came up with an evening meal that was high in veggies and hearty to boot. Better yet, Iris ate it all without argument. That is the true victory. Cut the squash in half, scoop out the seeds (reserve for roasting, if desired) and place one small pat of butter in each half. I added a little minced onion, salt and pepper. Place in a baking dish, in about 1/4 inch of water, and bake for 1 hour and 15 minutes. Cook your rice and set aside (I did mine in a veggie broth). Heat a little oil in a stovetop skillet, and sauté the mushrooms for maybe 5 minutes. When the squash is finished, and has cooled for a few minutes, stir up and scoop out the flesh. I used most of the rice to make beds for the squash in our two bowls, put the cooked squash on next, and topped it with the mushrooms. Mixed together, the three items made a delicious main course. We also had my take on this dill pickle soup, which is basically a light potato soup with chopped pickles, a little pickle juice, a few squirts of mustard and a couple tablespoons of plain Greek yogurt (easier than the flour and sour cream ordeal in the recipe). I also threw in a large collard green leaf. Along with a cup of Michigan cider, and the promise of the last of the chocolate Goblin Cake with strawberries for dessert, this was the perfect thing for us after a brisk walk. Some days, there is nothing as satisfying as eating (and feeding a child) healthfully with food that is filling and delicious. Last night, I made baba ganoush, because last week we went to Gita Pita, and now I am, once again, obsessed with Mediterranean food (or at least the idea of it). I found a simple recipe for the baba ganoush (I added minced onion and raw tomato), and plan to return to the downtown restaurant when my budget adjusts for the cost of preschool. It is a day for which I wait with bated breath. The thing is, it was just really nice to have success with an eggplant. As vegetarians, we’ve not spent the time with eggplant that we should, and our history of botched attempts goes back to the beginning of our marriage – long before we stopped regularly eating meat and boxed meals. Eggplant Parmesan, simple roasting and oddities like vegan “bacon” were all disappointing failures. For something completely different: If you’re in the Grand Rapids area, join me and a bunch of cool kids tonight at EmbodyGR, a local non profit focused on yoga, community and service. They have childcare, it’s free and there will be tea. A great way to find calm on the first day of ArtPrize, and set the tone for the close of your week. 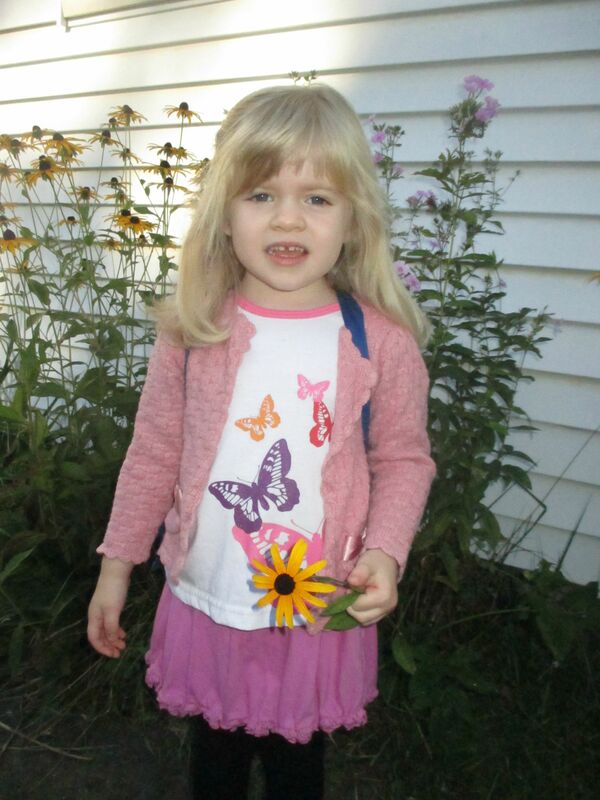 This morning, we brought our almost three-and-a-half-year-old to preschool. Overall, it went very well, but I must admit to feeling a touch of sadness (as does her dad). Iris’ expression here is reflective of not only the early (to us) hour, but our family’s swing between excitement and hesitancy. For us, as parents, we’ve handed our baby over to strangers who care about her no more than they do other students, which is a good thing. We have an extra monthly cost, which is never ideal. Iris is going to learn for fun and, in some cases, the hard way. Like I said, good overall. For Iris, as a first-time student, this has to be weird. She’s not shy, and had no problem kissing us goodbye as she played with a dollhouse. But I’m guessing things will be less smooth at nap-time. Really though, I can’t stop thinking about how she’s already experiencing something I never did – preschool. Children outpace their parents in so many ways, and it starts early. Of course, I’m also admitting to a personal upswing in all of this – more time for work and personal projects! My Mondays and Wednesdays will be starting earlier and progressing less chaotically (until February, that is), and this could mean great things for my career. I had 30 years of me-time before Iris, and I do look forward to regaining a small piece of that. But, come 5pm, my little Squishy will be picked up by a very eager mother, who misses her face and questions already.